Whether you’re trying to lose weight or boost overall health, when you eat matters. Sure, there is some truth to that old adage “you are what you eat.” But the latest research shows that when you eat can be just as crucial. “Eating in tune with your circadian rhythms—a.k.a. your body’s inner clock that guides you to wake and sleep—automatically helps your health. 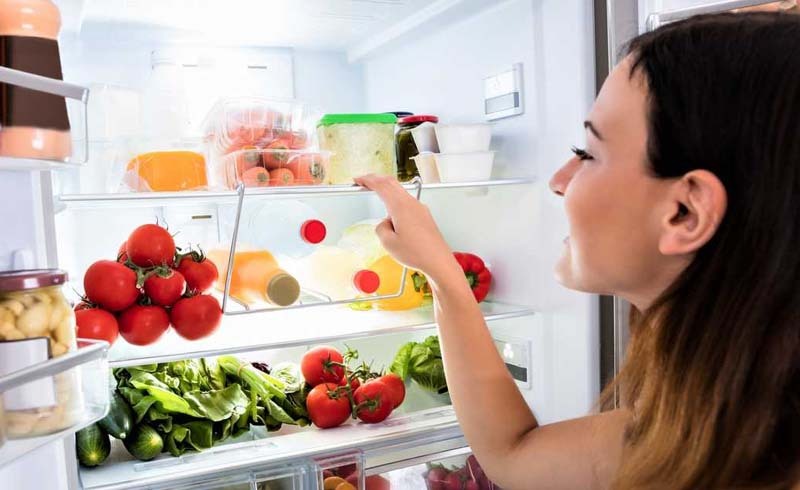 You are getting fuel when you can actually use it and allowing your body to rest when it needs to,” says Michael Roizen, MD, chief wellness officer of the Cleveland Clinic and coauthor of What to Eat When. In fact, according to a 2015 study, ignoring these rhythms and eating at the wrong times—say, late at night—can raise blood sugar, a risk factor for type 2 diabetes. Want to understand meal timing a bit more? Experts weighed in on the four key guidelines to follow. Eat during daylight hours. “Our bodies evolved to be primed for food during the day so that we’d have plenty of energy for survival,” says Dr. Roizen. This means your body is most sensitive to insulin—a hormone that moves glucose from your blood into the majority of cells, including your muscle cells, to be used as fuel—during the day. Your resistance to insulin is highest at night, when you’re less active and your body thinks it should be slumbering. As a result, you wind up storing most of the calories you consume in the evening as fat, Dr. Roizen says. But between after-work Spin classes and evening cocktail hours, you can’t always expect to pack in all your nourishment before the sun sets, especially during the winter months when it gets dark as early as 4:30 p.m. A more realistic option: “Try to eat during a 12-hour window each day—for example, from 7 a.m. to 7 p.m., and then go on kitchen lockdown after that,” says Pamela Peeke, MD, MPH, assistant professor of medicine at the University of Maryland and author of The Hunger Fix. Don’t skip breakfast. Research has found that morning eaters tend to have lower blood pressure and cholesterol, and less chance of having a heart attack or stroke. 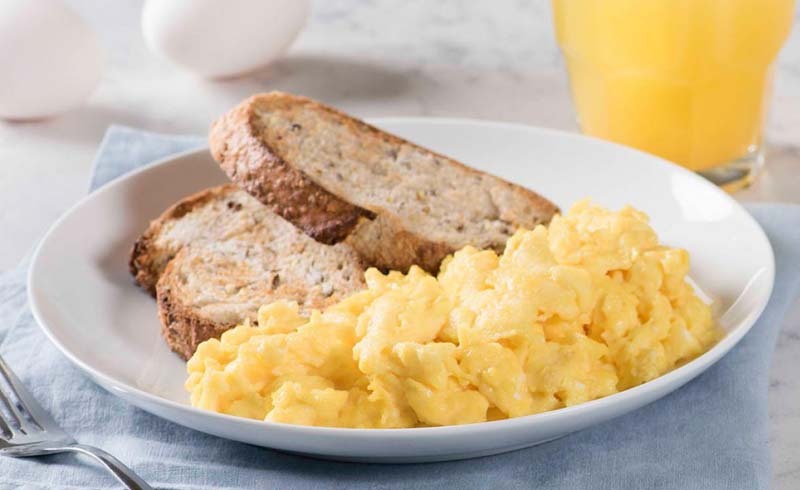 There are also weight-loss benefits: Women who took the time for a sizable breakfast (think eggs, toast, and fruit rather than a quickie bar) lost more weight after 12 weeks than those whose largest meal was at dinner, according to one study published in the medical journal Obesity. They also had lower levels of blood sugar, insulin, triglycerides, and hunger hormones such as ghrelin. In addition, nearly 80 percent of people who have successfully lost and kept off at least 30 pounds report eating this meal every single day, according to the National Weight Control Registry. All this said, if you can’t stomach a full-fledged meal before noon, don’t stress about it. “The most important thing is to have something—even if it’s small—in your stomach within two hours of waking up,” says Tamara Duker Freuman, RD, author of The Bloated Belly Whisperer. Just make sure your breakfast includes a mix of high-fiber carbs as well as protein to help curb hunger. Two of her favorite choices: a slice of sprouted bread topped with egg and avocado, or Greek yogurt and berries. Have a hearty lunch. If a big breakfast isn’t your thing, then lunch should absolutely be the main meal of your day. “Treat it how you’d normally treat dinner,” advises Freuman. Fill half of your plate with non-starchy veggies, and then divide the second half into lean protein and high-fiber carbs like sweet potatoes or quinoa. Even if you had a hefty morning meal, don’t skimp on lunch. “Ideally, you’ll consume about 75 percent of your calories by 4 p.m.,” says Freuman. If you normally eat a salad, pair it with a fiber and protein-rich lentil soup, or add some nut butter and apple slices to your usual deli sandwich. People who ate their main meal at lunch lost more weight than folks who ate later, according to a 2016 study published in the American Journal of Clinical Nutrition. Eat a light dinner, and then close the kitchen. Since your body is most insulin-resistant at night, you want to avoid carb-laden fare such as pasta or potatoes. Focus on a serving of lean protein paired with fiber-packed fruits and veggies, advises Peeke. While earlier is better, if you end up occasionally eating at 8:30 or 9 p.m., that’s fine. Just have a snack a couple of hours before, says Freuman, so you don’t become so famished you wind up eating a huge meal right before bed. Whether you eat dinner earlier or later, try to avoid eating anything after that, advises Freuman. Late-night noshing has been linked to a bunch of bad health effects, including increased risk of both type 2 diabetes and heart disease. Healthy adults who were allowed to eat right up until bedtime had higher fasting blood sugar and cholesterol levels than those who had a hard stop at 7 p.m., according to a small 2017 University of Pennsylvania study. So by all means, watch what you eat. But don’t forget to keep an eye on the clock, too. It will be time well-spent.